I am a big fan of Monkey World in Dorset. It provides homes for monkeys and apes that have been mistreated, illegally traded or have done their time in the laboratories. On most visits I find myself gazing at our distant cousins, the chimps, gorillas and orangutans, observing our similarities, speculating about what they’re thinking. The movements of their arms and hands, especially when they are delicately picking away at the layers of a vegetable, are incredibly similar to humans. I never find I relate to any of the other species, in quite the same way. When I visited Andasibe-Mantadia National Park in Madagascar, I was lucky enough to get very close to the Indri Indri indri, the largest of all lemurs. A group of four came down from the canopy to within just a few metres of us. They clung vertically to the trunks of the trees; like a human climbing a rope, and stared at us. These beautiful creatures are our very ancient cousins (twice removed) but looked just like fluffy people hanging from the trees. I was amazed how human such a distant relative could appear. And then after, what I will remember as a very strange but wonderful wildlife encounter, they hopped off from tree to tree; still remaining vertical; and still looking very human. 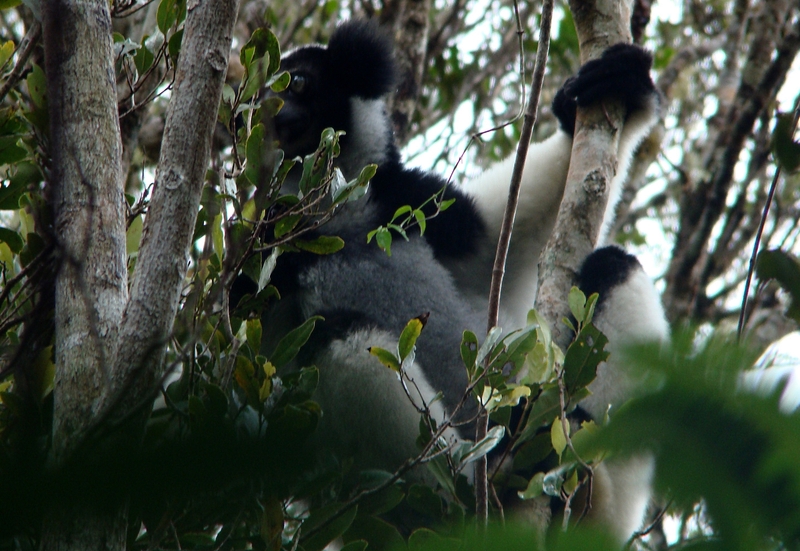 How the Indri got its name. What is Participatory GIS (PGIS)?